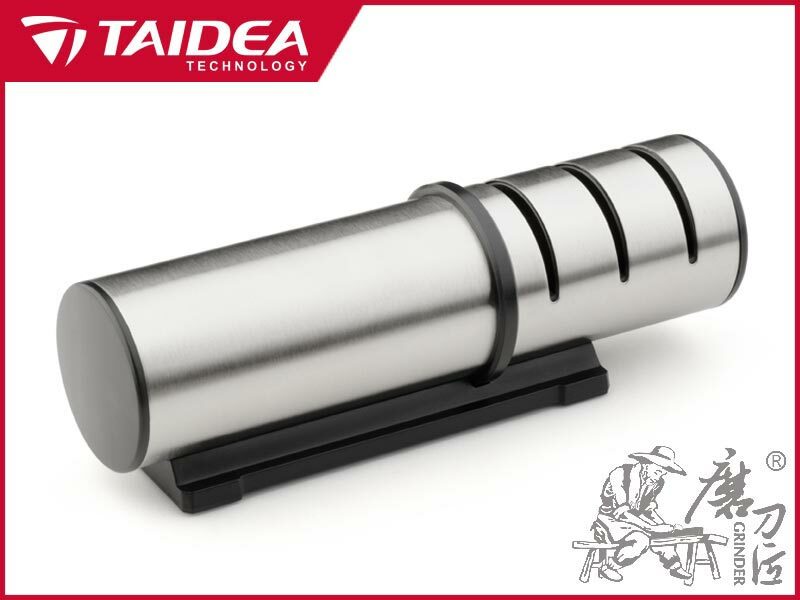 Household Knife Sharpener Taidea (360/600/1200)(T1202DC) Knife accessories, sharpeners, sharpening stones. Taidea household knife sharpener. Three-stage design for coarse, medium and fine honing. Unique sharpening wheel design, convenient to sharpen back and forth. Compromise the classical mould and streamline design to get perfect appearance. Widely used for Kitchen knives, chef knives, fruit knives, bread knives etc.